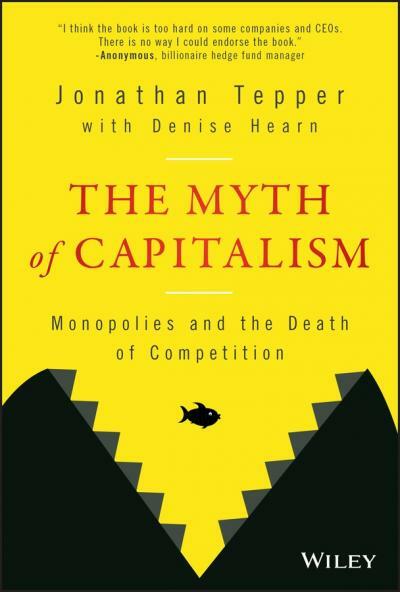 The Myth of Capitalism tells the story of how America has gone from an open, competitive marketplace to an economy where a few very powerful companies dominate key industries that affect our daily lives. Digital monopolies like Google, Facebook and Amazon act as gatekeepers to the digital world. Amazon is capturing almost all online shopping dollars. We have the illusion of choice, but for most critical decisions, we have only one or two companies, when it comes to high speed Internet, health insurance, medical care, mortgage title insurance, social networks, Internet searches, or even consumer goods like toothpaste. Why is the US becoming a more unequal society? Why is economic growth anemic despite trillions of dollars of federal debt and money printing? Why has the number of start-ups declined? Why are workers losing out?